Are you, or is someone you know sleeping in a motel, a camper, a tent, couch-surfing, shelter, or “doubling-up” living with friends or relatives until you can find or afford a place on your own? 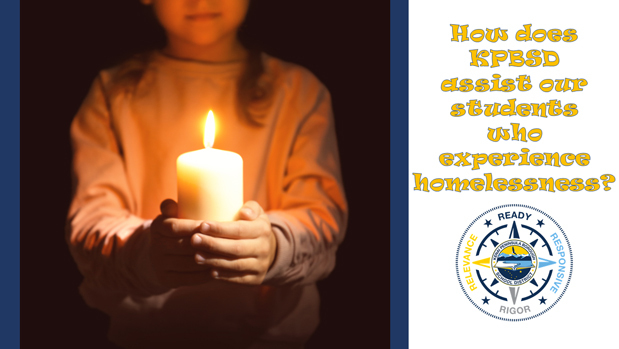 The KPBSD Students In Transition program can help families or unaccompanied youth who lack a stable, adequate, and permanent place to sleep at night. Are you seeking a way to assist? Connect at the KPBSD Students In Transition Facebook page where you will discover posts about ways to be involved, and stories KPBSD has permission to share. Thousands of KPBSD students have received supports and services from the SIT program since the beginning of the program in 2003. At the new start of every school year, the “number of students identified” count starts at zero. While students can be re-identified each school year based on their current living situation, there is no carry-over of students from the end of a school year in May to the beginning of a new year in August. On September 12, 2018, KPBSD Homeless Liaisons have identified 98 students as meeting the homeless definition given by the McKinney-Vento Act. This is a 42% increase (or 29 students) from this time last year (69 students identified 9.12.17 district-wide). Both Liaisons have additional referrals coming in, almost daily. For perspective, on average, the KPBSD SIT program identifies and serves close to 250 students per year. “City of Onset Residency” is the community in which the student was sleeping on the day they were identified by SIT staff. Very small communities with Students In Transition were combined in order to protect the privacy of the identified students. Of the 98 students, 32 are unaccompanied youth (homeless youth not living with their parent or legal guardian). Sixty-six students are with a family unit, and 31 families are currently being service. 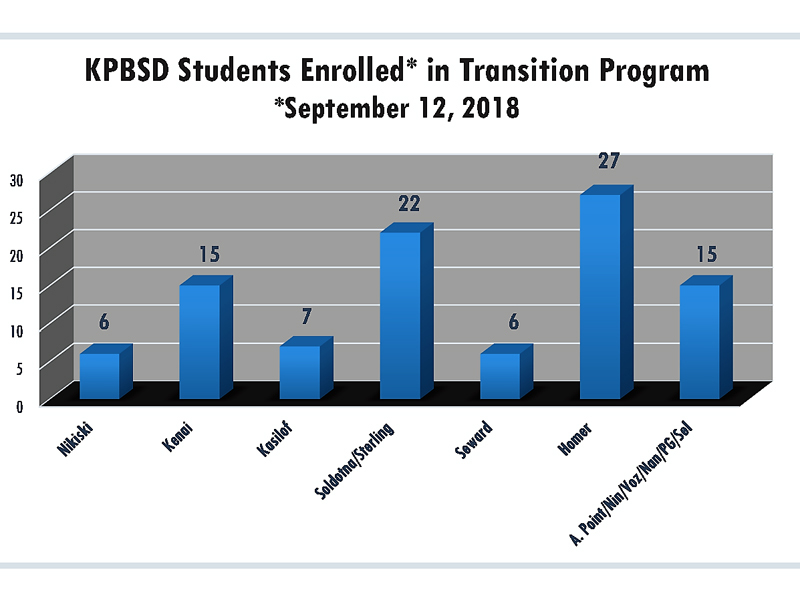 KPBSD homeless liaisons will continue to identify and enroll students until the last day of the current school year, and expect final enrollment numbers to be upwards of 300 students. The primary focus of the KPBSD SIT Program is access to kindergarten through high school graduation for homeless students. School can be challenging for all students, but students living in unstable situations face many additional challenges. The goal of the SIT Program is to ensure that homeless students have the same educational opportunities as their peers in permanent housing–that they have the ability to attend school and focus on learning. There are a variety of agencies and organizations who work hard to support vulnerable residents of the Kenai Peninsula. Our KPBSD homeless liaisons provide information to students and families about these resources to help address their additional needs.